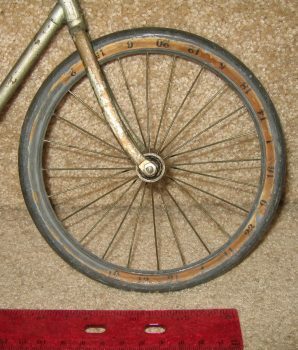 Original two-wheeled bicycle for sale. 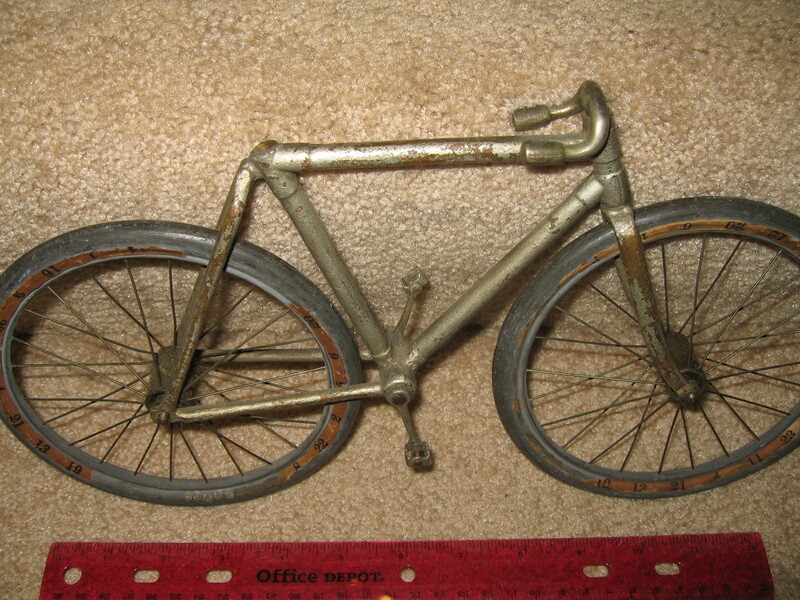 Bicycle used in Waddel or Sun Manufacturing trade stimulator machine. 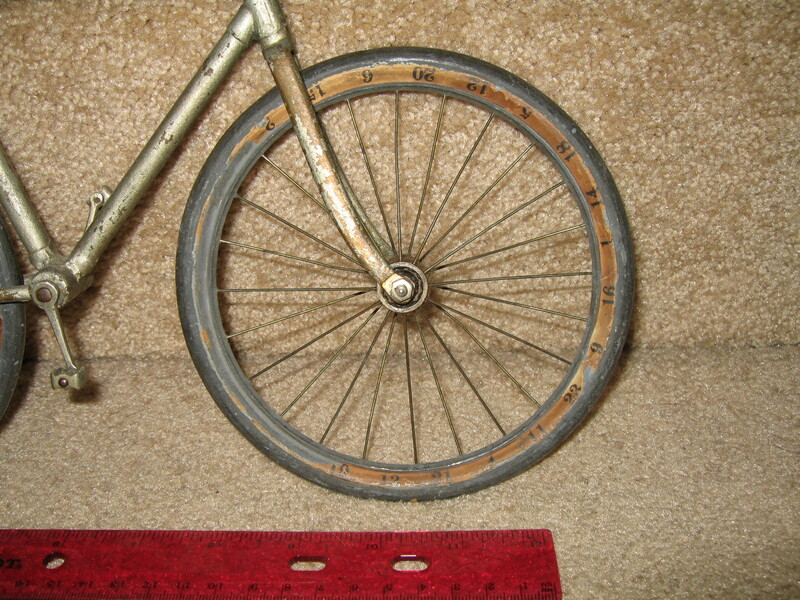 The bicycle itself is in very fine condition with some paper loss to wheels. 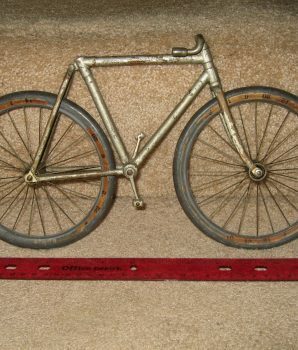 A really fabulous untouched, all-original example of a most visually attractive and interesting gambling device from the early 20th century. 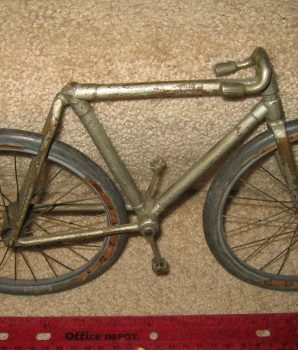 All you need is a case for this authentic bike. 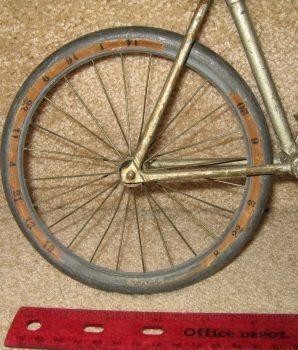 Early 1900s bicycle with spinning wheels that allowed one to gamble for a reward usually of cigars, or other products. 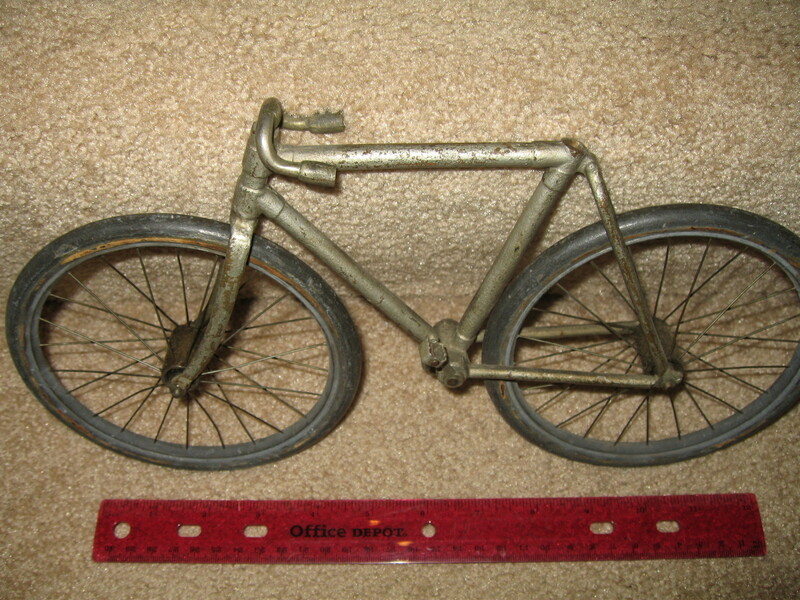 The original pedals and handle bars rarely found by themselves are intact! 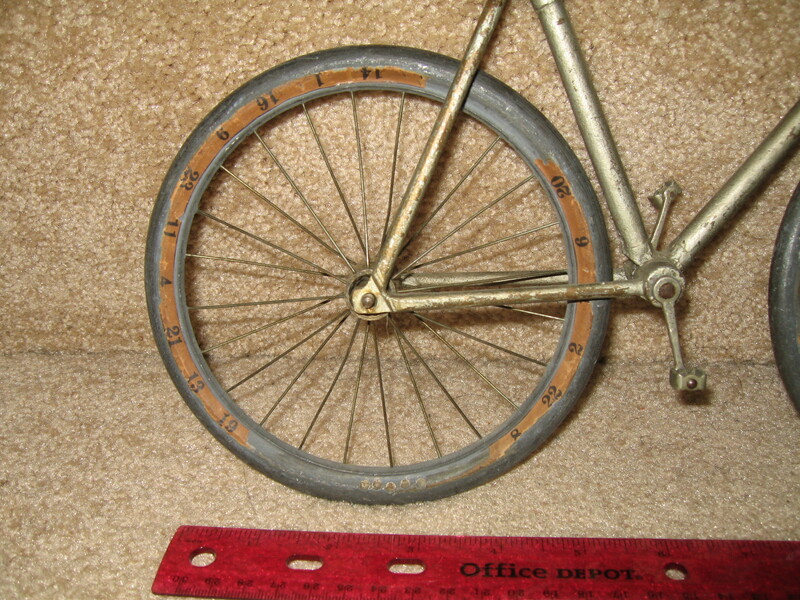 One of the most appealing and highly sought after by collectors of coin-operated devices. 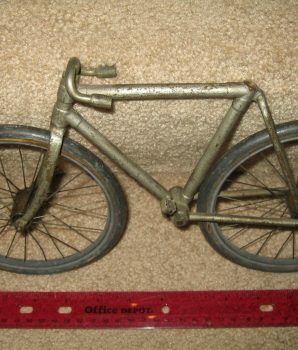 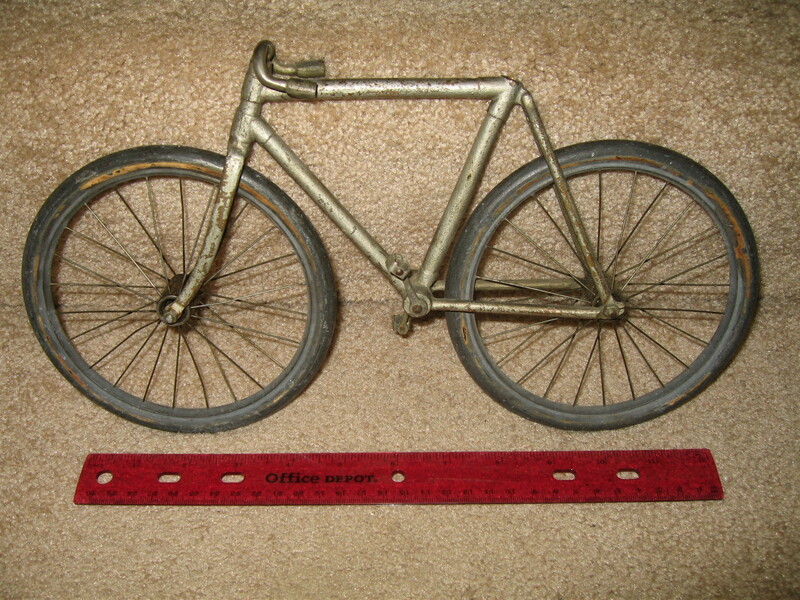 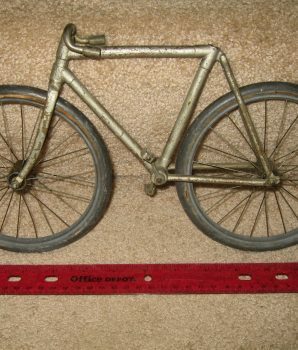 For the lucky buyer, we have an original machine and will provide pictures and dimensions for you to create a case to house this collector two wheeled bicycle. 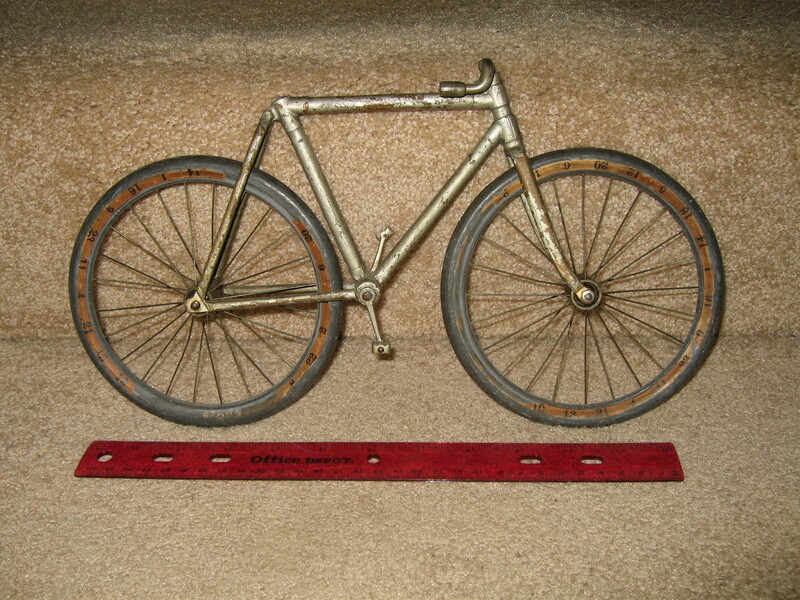 A Sun Mfg Bicycle Trade Stimulator sold at Auction January 30, 2016 for $8,540 with buyer premium.